On Monday, January 16, we will gather at 7:30 PM for a Transition Meeting at the Community United Methodist Church (80 Main Street). The developing agenda follows. We thank the CUMC for letting us meet in their space! TW and internet safety: does TW endorse? trash and recycling: some of us are tinkering with a trash – recycling education outreach program. More to come soon. Anyone who is interesting, let us know. Time to roll out a campaign for the bag and container bans: brainstorm and set a special meeting for this. 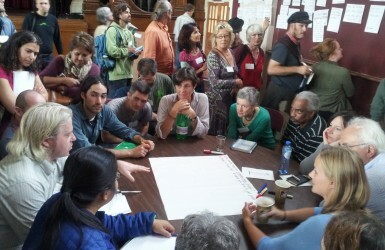 Energize: BIG picture (climate change outreach/net zero/Climate Accord town resolution) push. The towns (L,S,W and Natick) are putting their Energize teams together. Ask who around the table wants to be involved in this Big picture push (or part of it)/Energize. TW’s contribution to Energize in Wayland: could be Earth Day 2017?